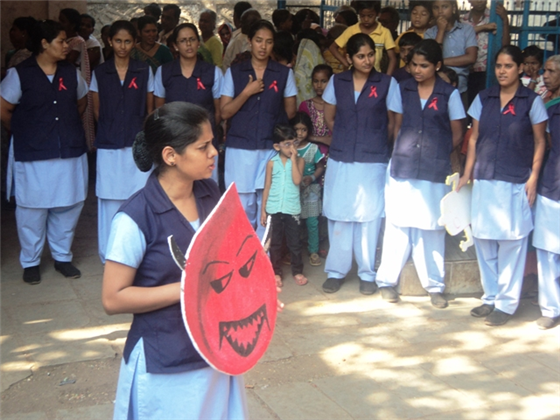 As we told you in this post, we had planned a series of activities last week, to mark World AIDS Day on December 1. 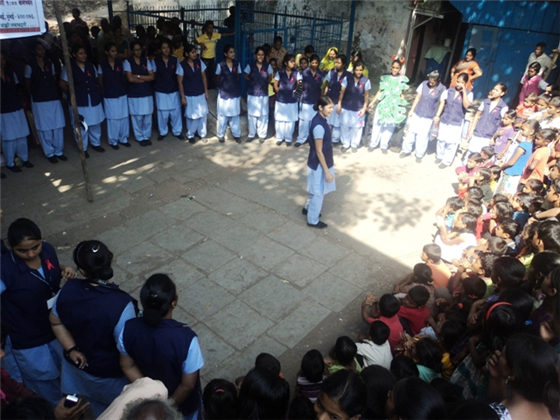 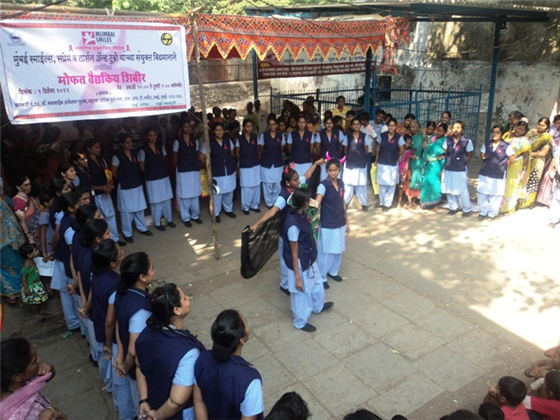 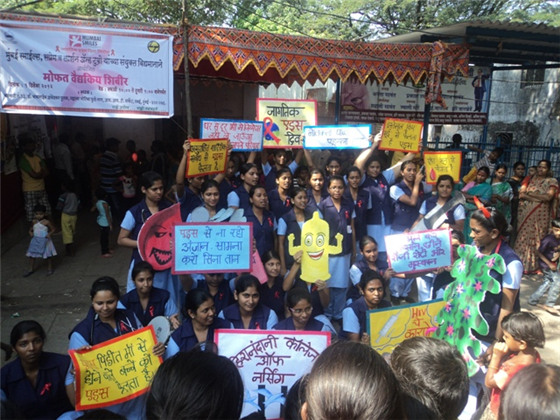 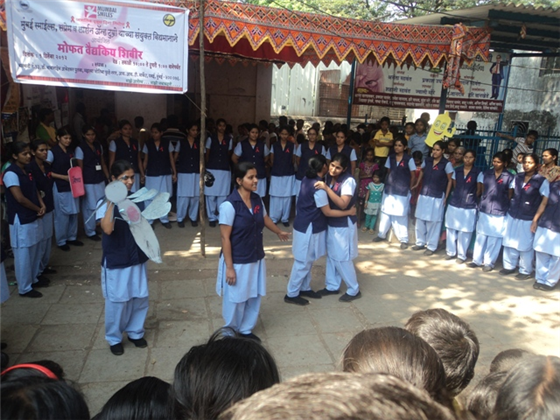 One of these was also a street play, performed by students of the Hiranandani School of Nursing in Powai, performed in the Phule Nagar IIT Market slums in Powai. 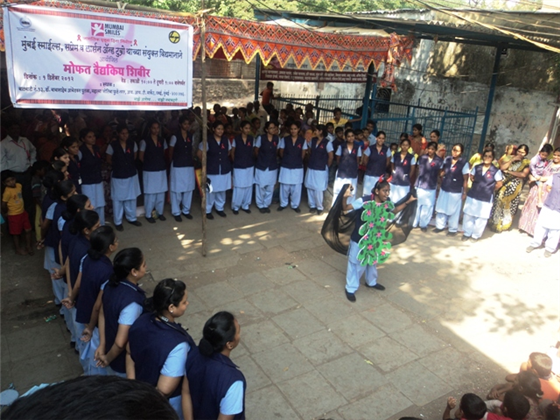 The purpose of this was to create awareness in the community about the mode of transmission, prevention and HIV testing, location of ICTC etc and followed by Q & A session after the play.